Ok, first, if you thought about Jimmy Buffett when you read the title, so did I. I’ve always loved the song, “A Pirate Looks At Forty.” It’s something we do as we grow up, look at the life that formed us and and reflect on what we’ve become. This is a song that captures a snapshot of what that process is like. For a pirate. When I started this blog, it was really to explore the Scriptures from the perspectives of the five fold gifts: Apostles, Prophets, Evangelists, Shepherds and Teachers (here’s an example). Have you ever noticed that some people read the same passage and come up with totally different ideas about what it means? After you factor out the crazy, I’m convinced that each different APEST walks away from a passage with a different take. Psalm 40 is a song of reflection. When an Apostle reads Psalm 40, what themes might jump out at them? First of all, I don’t think this is an Apostle’s favorite Psalm. 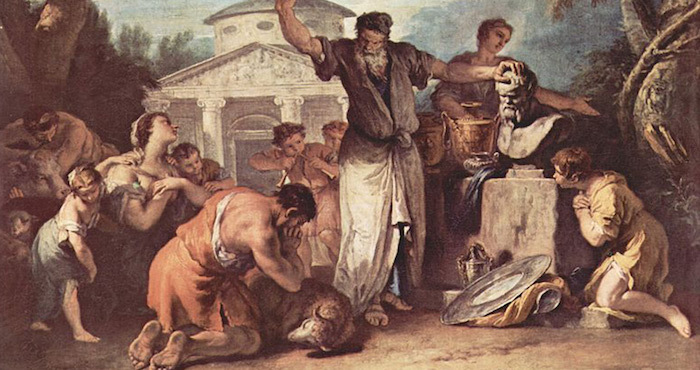 “I waited patiently for the Lord,” that’s not likely in an Apostle’s skill set. Maybe, “The Lord waited patiently for me.” Haha. C’mon, I’m just…serious. In the times where this personality is vulnerable, however, Psalm 40 is more than just a great U2 song. The Evangelist might see this Psalm as an invitation to share with people who express the unanswered emotions of fear, despair, hopelessness, isolation, anxiety. They might see this Psalm as lyrics to life renewal for people who are in desperate need. They might see this as almost a script for trusting in Christ for a new life. The Prophet. How might the Prophet see this as a song of reflection? Because the prophet has lived it. Psalm 40 is a look at a life where God has been experienced in nearly every dynamic of human existence. And while the Prophet waits, they feel. The Prophet waits patiently for the Lord to help, so they are obviously in a situation that requires God’s rescue. How long do they sit in the state of waiting? As long as it takes. How deep are the emotions of fear and anxiety? Pretty low, apparently: into the pit of despair, into the quicksand of spiritual struggle. Through the eyes of the Prophet, Psalm 40 is a mirror into the soul: the experience of our lives, the full expression of our emotions. Don’t forget, like Jimmy Buffett, this is a reflection song; a prophet looking back on their life remembering the situational pain and the rescue of God. Prophets plumb the depths of suffering and climb the heights of joy. This is a song about that and how God is present in both. You know, one of the things that helps me land in this Psalm is that even when God sets my feet on solid ground, even when he steadies me as I walk along, I don’t necessarily have to feel better. He just sets me in a place where I can work on the emotions. And I don’t have to work on the emotions without Him. His presence provides. As long as I sing my story, like the Psalmist, my past can sing hope into someone else’s present. The Psalmist is looking back, remember a time where darkness eclipsed him, and into that darkness the glory of God shined. 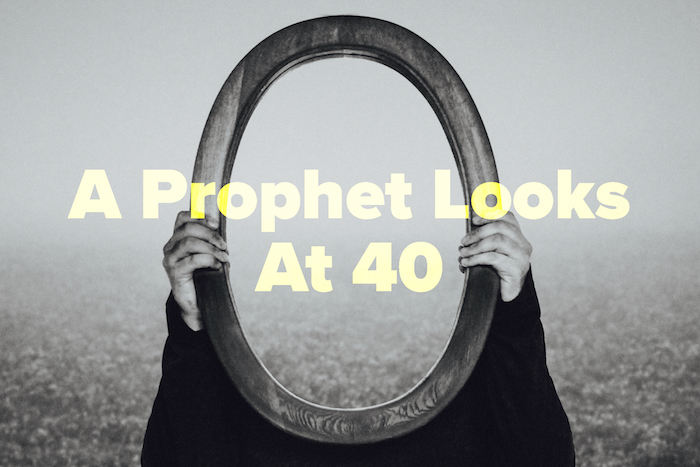 The Prophet looks at 40. Can you feel me? Read Psalm 40 and think of it as a personal reflection of life long lived; the Prophet looking back twenty years later describing a season of life that encompassed every emotion, every sensation, every cry for rescue. How does this shift change the way you read it? Have you ever thought about this line, “You take no delight in sacrifices or offerings”? People were already killing things. They killed things for gods that didn’t exist to make them do things that they couldn’t do in the first place. God didn’t require them, He just re-purposed the mis-spent worship that was already happening. It’s strange, but it worked for a time. And the prophets rightly diagnosed it, sacrifices aren’t the way to the heart of God. Doing religious things isn’t the way to full With-God life. What is? Prayer, the song of the With-God Life. Please, Lord! Come quickly and rescue me! When the Prophet looks at 40, they remind us that feelings go with being alive; sorrow happens; God rescues; doing religion moves us far from the heart of God; relationship moves us deeper into his heart; prayer is the language of relationship; the Lord is on the Way, presently, now. Making all things new. Again. In the comments, share your reflection on the Psalm. What other ways do prophetic personalities read it? If you really want to mix it up, check out the four prophetic types and filter those through this post. Can’t wait to hear what you have to say about that!